In the past, Spot Cool Stuff has attended a vodka tasting in Russia, a moonshine tasting in Kentucky and a blended scotch tasting in Scotland. In the former two tastings we could not, if we are being honest with ourselves, discern any difference between the various offerings. We held the assortment of vodkas up to the light. We twirled the moonshine samples around in the glass. We sniffed, we sipped, we let the liquid linger in the mouth and did everything else our tasting hosts told us to do. It made no difference. To our pallet, vodka is vodka and moonshine is moonshine. So when we sat down for the tasting in Scotland we figured we wouldn’t be able to tell the blended scotches apart either. Every one of the six drinks we tried had a distinct taste. And, of them, one had an aroma, a palate, a whole drinking experience that was superlative to the others we tried. That blended scotch turned out to be Johnnie Walker Blue Label. To some scotch purists, the notion of a blended scotch — a scotch that isn’t comprised of a single malt — is anathema. It’s anathema even when, as is the case with Johnnie Walker Blue, the most prominent of those blends is Royal Lochnagar, a rare malt distilled near Balmoral Castle in Aberdeenshire. Spot Cool Stuff is agnostic on the single malt versus blended scotch debate. All we know is that even before the first drop of Johnnie Walker Blue touched our lips it made us go WOW. Because it doesn’t smell at all of alcohol. Instead, its fragrance is of oak, spice, vanilla and dried fruit. The initial taste is lusciously smooth, filled with hints of chocolate and smoke. It clings to your tongue longer than expected. And then leisurely fades away to notes of toffee, nuts and honey. 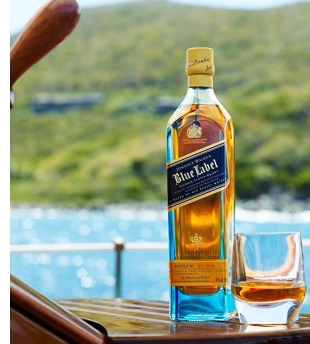 Johnnie Walker Blue has a complex taste. So how do you market that in the age of social media and viral videos? 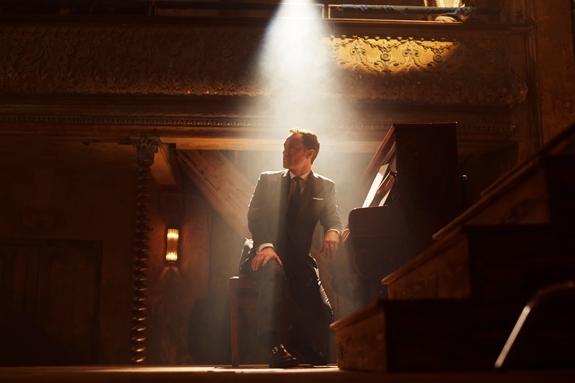 The creative folks at Johnnie Walker decided to try and capture the experience in a short film about two wealthy men — starring Jude Law and Giancarlo Giannini — who consummate an unusual wager over a drink of Johnnie Walker Blue. If you detected a similarity between this short and the whimsical drama Welcome To The Rileys it’s because they both had the same director: Jake Scott. • Cantieri Baglietto is indeed an Italian shipyard that’s been building rare luxury yachts in the town of Varazze since 1854. 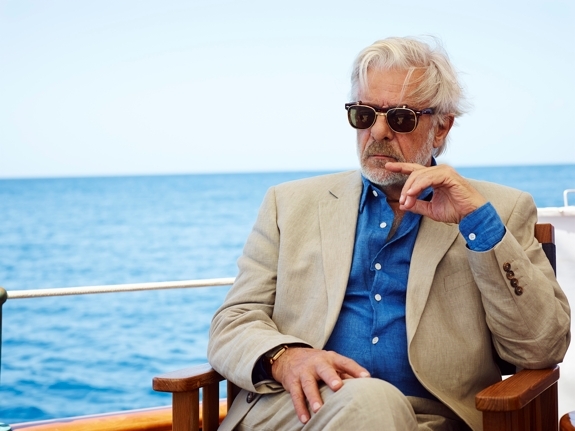 • Desite the Varazze connection, the boat scenes in the short were not filmed in the Italian Riviera. Instead, they were shot in the British Virgin Islands. • All the clothes and accessories worn by the feature charters in the short are available for sale through the Mr. Porter online store — Jude Law’s outfit in the opening scene (including watch, shoes and sunglasses) can be yours for a mere US$2,705. As for obtaining your own bottle of Johnnie Walker Blue Label, it usually sells for around US$200 (though we’ve seen it priced for the equivalent of $800 in Japan). To pay for it, you could save up the money by drinking cheap vodka and moonshine. Or, if you are feeling especially daring, you could find some friends who already have a bottle and try to win theirs — with a dance.